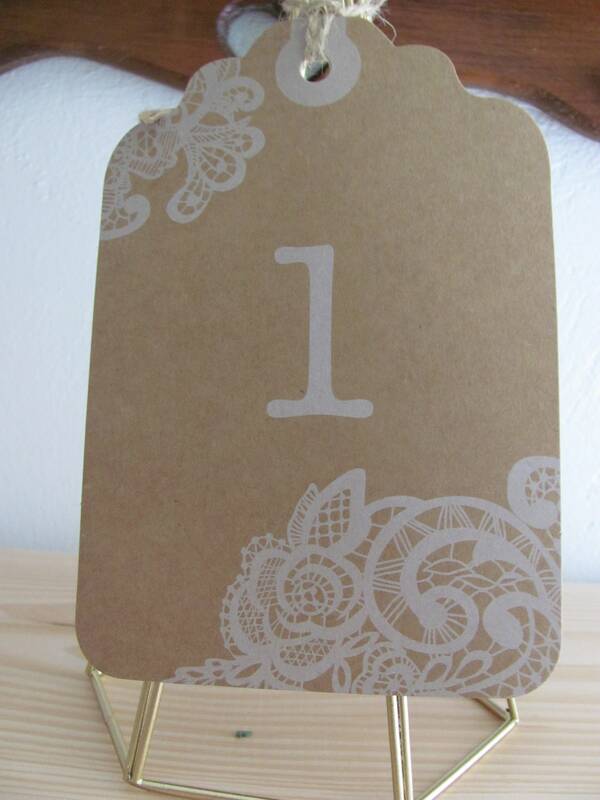 Here's a new take on table numbers that is suited perfectly for any vintage, rustic or shabby chic wedding theme. 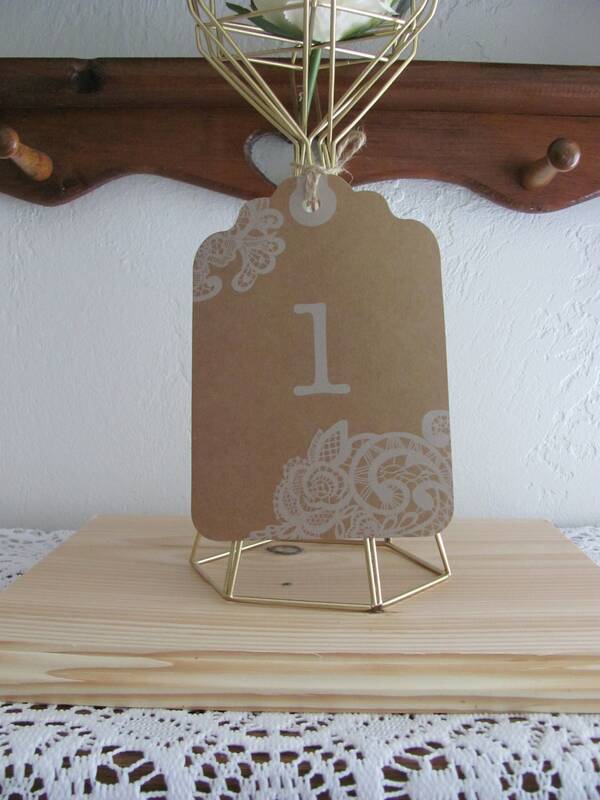 These oversized kraft paper luggage tags are a unique way to number your tables. The vintage lace print is combined with natural kraft paper for a romantic but rustic feel. Sold in sets of 12, tie them to vases for a table number that is sure to stand out.